We are one of the prominent Manufacturer Trader, Wholesaler, Retailer and Service Provider of Wedding Sherwani and Tailoring Service. Our dresses are prepared using premium quality fabric and give a highly majestic look. We are a noted name in the Manufacturer, Trader, Wholesaler, Retailer and Service Provider Men's wear garments. 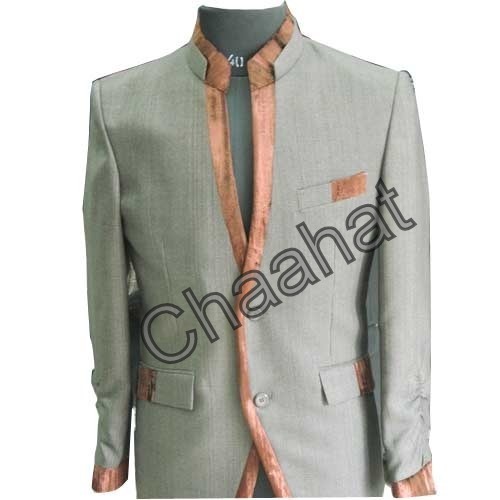 We offer a wide range of Men's Party Wear Suitings and Shirtings and Men's Ethnic Wear. Our collection is based on latest style statements laid down by the top most dress designers of Bollywood. We offer customized solutions for our customers who can avail alterations in color, size, shape, fitting and designs.